You’re just a click away with HAI Web-Link II. Web-Link II is our award-winning software accessory for your HAI system that is sold WITHOUT any subscription fees! Whether you’re at the office or on vacation, your home is only a click away. Using your laptop, PDA, web-enabled phone, or any computer with Internet access, you can monitor and control your home. You can even view and record video from cameras in your home with video streaming technology. It’s as easy as viewing your favorite web site. Web-Link II is a great new way to access your HAI system via the Internet. Web-Link II allows you to monitor and adjust settings for lighting, heating and air, security, and appliances with the added benefit of wireless access, video surveillance and recording, and email notification of programmed events. 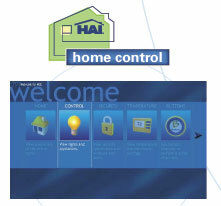 HAI’s Web-Link II will work inside a home on a single PC, and with a group of PC’s on a local network. It also takes advantage of the full-time Internet connection provided by popular cable modems and DSL. 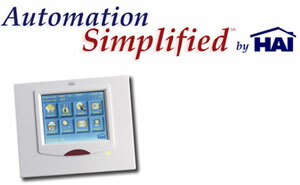 These connections, combined with Web-Link II’s intuitive, easy to use pages make it quick and easy to check on the house with video surveillance, record video based an a system event, view previously recorded videos, verify the kids have arrived home from school via email notification, and adjust the temperature right from your office PC, PDA, or web-enabled phone. HAI Web-Link II runs in the background on a Windows 98 SE, 2000, NT, or XP Pro computer connected to any HAI Omni-class controller. HAI Web-Link II software generates Web pages from the controller’s data that can be viewed locally and on any networked computer via Internet or Local Area Network. After installing Web-Link II, no set up is required: Web-Link II’s smart software obtains its configuration from the HAI controller and presents a series of pages following the standard HAI menu format. Web-Link II has advanced the initial Web-Link technology by adding features that allow a homeowner to view family and property with video surveillance, record video on demand or based on event, and enjoy wireless access over a PDA or web-enabled phone. In addition, a homeowner can receive emails based on programmed events or send and receive instant messages. A Static IP Address or Dynamic DNS is required to access your system over the Internet. If your ISP can not provide you with a Static IP Address, then click here for information on Dynamic DNS.